Traveling with your dog does require a little more planning but with the right prep, it can go smoothly for everyone. The big considerations, of course, are your dog’s temperament, transportation requirements, and accommodation upon arrival. Depending on the distance you’ll travel, you may need additional paperwork or immunizations for your dog and, no matter what, you’ll need to ensure pet-friendly accommodations await. After all, taking your pack to your allergic brother-in-law’s home probably won’t go over well. Consider Your Dog’s Temperament - Well-mannered, friendly dogs usually make the best house-guests. Even so, you’ll need to plan feeding/watering/exercising locations along the way and if you’re flying, your veterinarian may still recommend sedatives to help your dog relax. 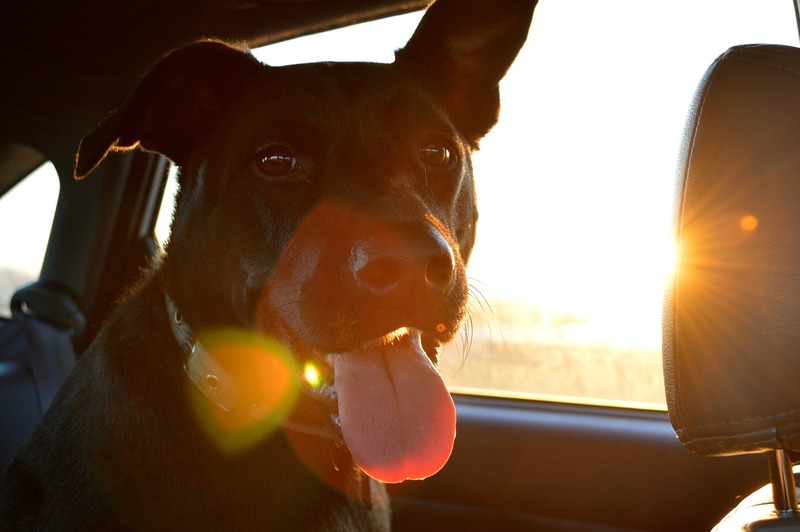 After all, you want to make it as easy as possible and keeping your dog calm will help your trip to go smoother. A Good Carrier - If you’re driving, then you don’t need to worry about kennel size restrictions but if you’re flying, then it’s another matter. Since airline restrictions change frequently, your best bet is to call the airline and find out from them what’s allowed. Ideally, you’ll do this before booking your tickets. Some airlines only allow one pet in the cabin even if you have a small dog. Most have rules requiring larger (over 20-25 pounds) dogs to fly cargo, but not all airlines are equipped for this either. The only way to know for sure is to call and confirm your options. Travel Bowls and Food/Treats/Water - Don’t forget to pack the snacks. Depending on how long your trip is, your dog will at least need water along the way. Collapsible travel bowls are perfect for long trips, so when you pack a water bottle and some food in a plastic bag you’ll make sure your dog doesn’t go hungry (or thirsty). Bring Copies of Health Records - Whether you’re going out of state or taking your pup on international travels, it’s always a good idea to have a copy of up-to-date health records. For domestic travel, they’re useful in case of an emergency. For international travel, they’re required for entering another country. You may also need a signed letter from your veterinarian if you’re traveling internationally. Since each country has different requirements, you’ll want to check the travel guidelines with the embassy. Once you know what you need, why not call your veterinarian to book your appointment for any shots or paperwork? Emergency Vet Numbers - If there is an emergency while you’re traveling, you’ll save time and a little bit of sanity if you program your emergency vet’s #s into your phone AND those of a local emergency veterinarian. Hopefully, you won’t need either, but if you do, then you’ll have them on speed dial. Bring a Favorite Blanket/Toy - If you have room, you can bring a favorite blanket and/or toy, which will help your pet feel more secure. Familiar smells and items help soothe dogs. Pet-Friendly Accommodations - Whether you’re planning on staying with family or renting a beautiful beachfront vacation rental, you’ll obviously want to confirm that your accommodations are pet-friendly. Fortunately, the world has gotten more pet-friendly these days so there are more options than in the past. Up-to-Date Pet Tags - If your dog gets lost and he’s wearing a clear pet tag with your cell number, you may find he’s returned to you before you even know he’s lost. As you can see, this is a quick checklist for traveling with your dog over the holidays (or anytime.) Taking a few minutes to prepare now, can save you panic later, especially, if your plans involve airports. We recommend that you make any necessary arrangements with your veterinarian sooner rather than later so that you know you’re prepared.